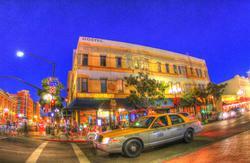 Welcome to the International Travelers House Adventure Hostel located in the San Diego city center. We are your destination if you are looking for the best experience and most comfortable rooms during your holidays in San Diego! FREE hot breakfast and FREE premium cooked dinners are prepared for our guests daily so they don't have to cook! FREE daytime adventures are offered daily including: sail boat trips, surfing trips, beach tours, snowboarding trips, mountain trips, Mexico tours, mystery tours, nature walks, snorkeling, brewery tours and more! Our goal is to show every one of our guests the ultimate experience and best time during their holidays! 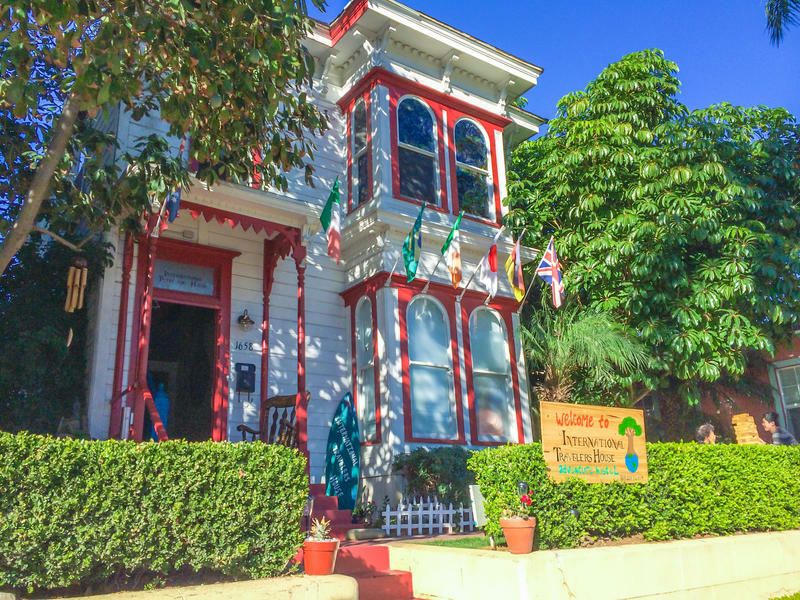 Our unique and friendly hostel instantly becomes a home for all of our guests and every relaxes and enjoys our amazing amenities! Once the sun falls and the nighttime is here, we take our guests on the best social activities including: pub crawls, in-house themed parties, BBQ's, game nights, club nights, jam session music nights in the garden, party game nights, drive-in movie nights and more! Multiple restrooms allows our guests to always have access to a hot shower! Our front garden is a magical place for having coffee, socializing, partying or laying in the grass under the warm sun next to our huge avocado tree! The Ron Burgundy lounge is equipped with a bean bags, couches, guitars, cable tv, Wii, games and more! 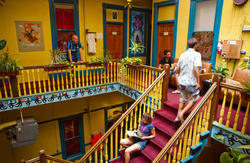 The unique design of our eclectic and artistic themed hostel provides guests with plenty of space for meeting people in our variety of common areas. Multiple fast FREE wifi's are provided to all guests as well as having FREE access multiple iPads! Take exit 17 to merge onto Front St toward Civic Center. International Travelers House will be immediately to your right at 1658 Front St.
Take exit 17A to merge onto W Hawthorn St. Turn left onto W Date St.
W Date St turns right and becomes Front St.
International Travelers House will be immediately to your right at 1658 Front St.
Take the 3rd left onto W Date St. W Date St turns right and becomes Front St.
Head north on Kettner Blvd toward W B St.
Take the 2nd right onto W A St. Turn left at the 3rd cross street onto State St. Turn right onto W Date St. W Date St turns right and becomes Front St.
Head northwest on National Ave toward13th St. Slight right onto 13th St. Turn left onto Imperial Ave. Turn left onto Park Blvd. Turn right onto Tony Gwynn Dr. Turn left onto L St. Turn right onto Martin Luther King Promenade. Turn right onto Front St. International Travelers House will be on your left at 1658 Front St.